Check out the winner of Saturday’s ATTACK OF THE GIANT CARD!! Tournament! 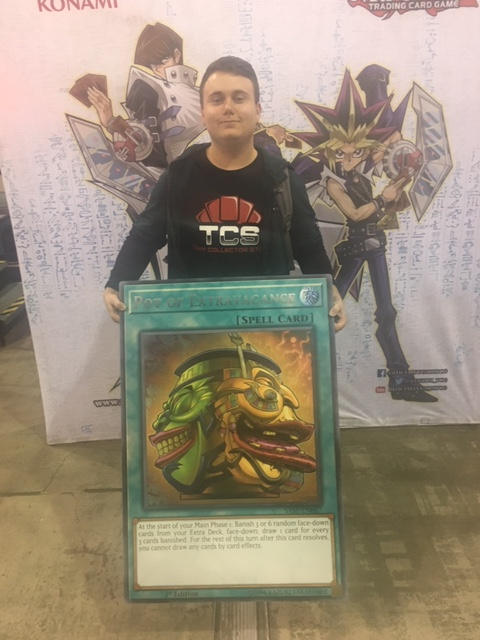 Corey Brogan from St. Louis, Missouri used his Trickstar Deck to earn first place and take home a GIANT Pot of Extravagance.